These fluffy, well-tempered dogs average between 9 and 12 pounds. They are known for their full, white coats, cheerful attitude and easygoing nature. 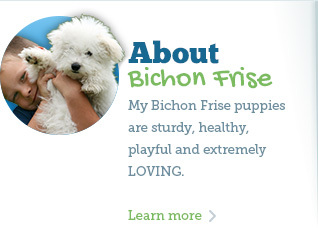 Bichon Frise are also hypoallergenic, non-shedding, and virtually odorless. This breed has a soft, silky coat and is known to be very affectionate and even-tempered. 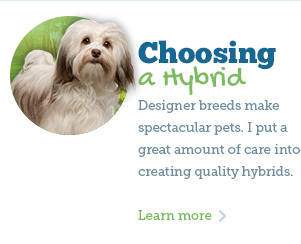 Havanese come in a wide variety of colors and either straight or wavy coats. Havanese dogs are people-lovers, easy to train and extremely smart. They are also non-shedding and great with families and children. These small dogs, 5 to 8 pounds, have big personalities! They are little watchdogs that are friendly and highly trainable. Maltese are easily paper trained and can be kept indoors. They are great with children and other pets and are very intelligent. One of the few toy breeds that excel in obedience work. Their small size and silky coat makes them perfect indoor pets. These tiny dogs average between four and seven pounds as full-grown adults. They have been known to be high-energy, but because of their tiny stature, they may not be great for small children. They can be ideal for people living in apartments. Designer dogs and hybrid dogs are becoming increasingly popular. A designer dog takes the traits of two separate breeds and creates a new mix that showcases the favorable characteristics of both parents. 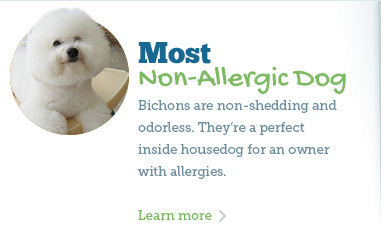 I proudly breed Bichon and Maltese hybrids. Ready to bring home a puppy? When you are ready to bring home a puppy, you can work with Myra. I have more than 30 years of experience assisting families with choosing the right puppy for them. I will discuss in detail your likes, dislikes and schedule to help you choose the dog that is right for you. With many healthy breeds to choose from, you can be sure that you will be able to select a wonderful companion for your home. If you have been considering getting a small dog, then do not hesitate to contact Myra today. I am also very experienced in safely shipping puppies. I am a registered shipper on three airlines with a letter of recommendation from Delta airlines with whom I can boost over 20 years of safe and incident free puppy shipping. Located in Fort Lauderdale, FL. The information on this website is for general information purposes only. Nothing on this site should be taken as advice for any individual situation. This information is not intended to create, business-client relationship.